To rival Amazon’s 36-hour-long Prime Day sale event, Flipkart is running the ‘Big Shopping Days’ sale and Vu’s 40-inch FullHD LED TV has received a massive price cut. This TV set is now available for Rs 17,999 as compared to the Rs 27,000 retail price. 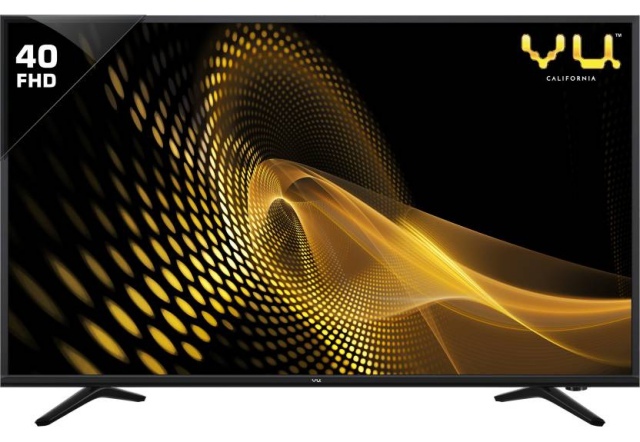 This is a whopping 33.33% discount on Vu’s 40-inch LED TV. If you’ve been looking to upgrade your TV set for quite some time and are not looking to spend exuberant amounts of money, then this 40-inch Vu LED TV is the absolute best deal for you. Let me clear your most important doubt right off the bat. No, this Vu TV isn’t a smart TV, so you won’t be able to connect it to the Internet and stream content from Netflix, Hotstar, and other VoD platforms. The 40-inch Vu LED TV features a Full-HD (1920 x 1080p) display, with a refresh rate of 60Hz that offers crisp viewing details. The company states that its A+ grade pure prism panel eliminates ambient light reflection and provides picture-perfect clarity. Vu also boasts of high fidelity 20 W speakers, which are backed by the AmpliFi Speakers Technology. This 40-inch TV panel has a modern aesthetic, with slim bezels and a sleek stand. As for the connectivity options, you’ll get a limited number of ports including 2 HDMI, 1 USB, and other analog ports.